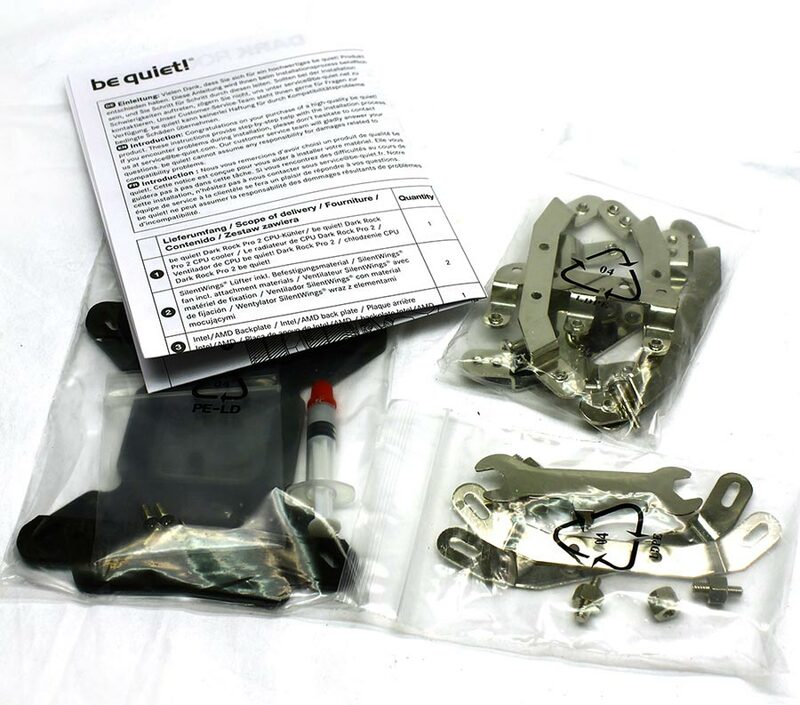 Today I’m looking at the Be Quiet! 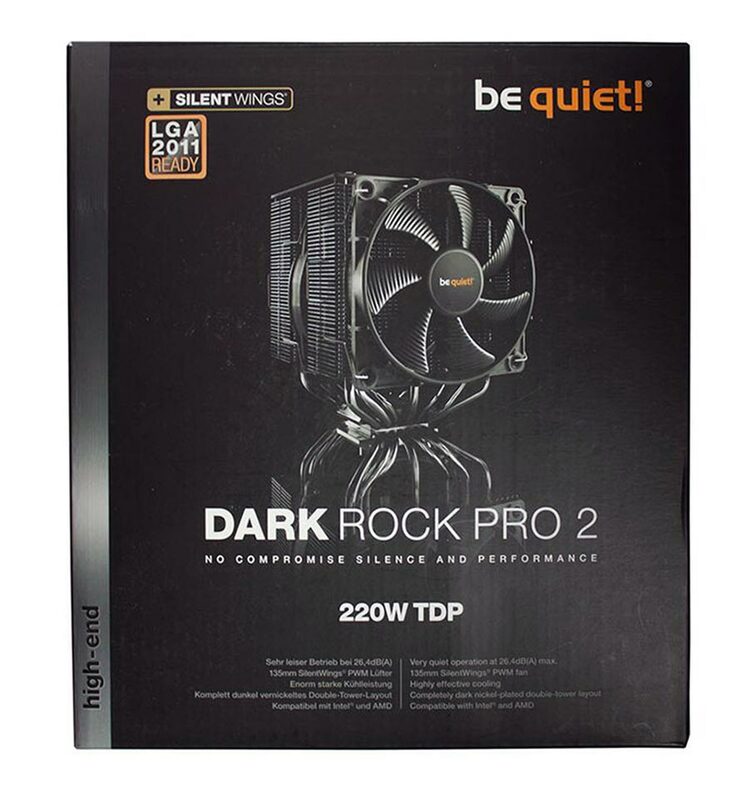 Dark Rock Pro 2, what a name! I’m very much hoping it lives up to its name and is as quiet as the name would make you think. From just looking at it, it’s clearly quite a beast so let’s get into the review. The bundled items include: Manual, Universal backplate for AMD and Intel sockets, mounting screws and clips, Socket 2011 mounting hardware and thermal paste.